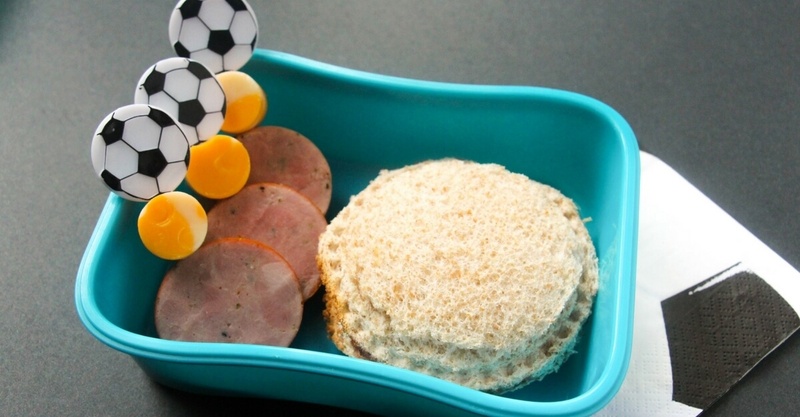 The Coolest Soccer Themed Kids Lunch that's Healthy Too! Inside: An easy and healthy soccer themed kids lunch that’s a guaranteed hit with little fútbol fans or soccer players! 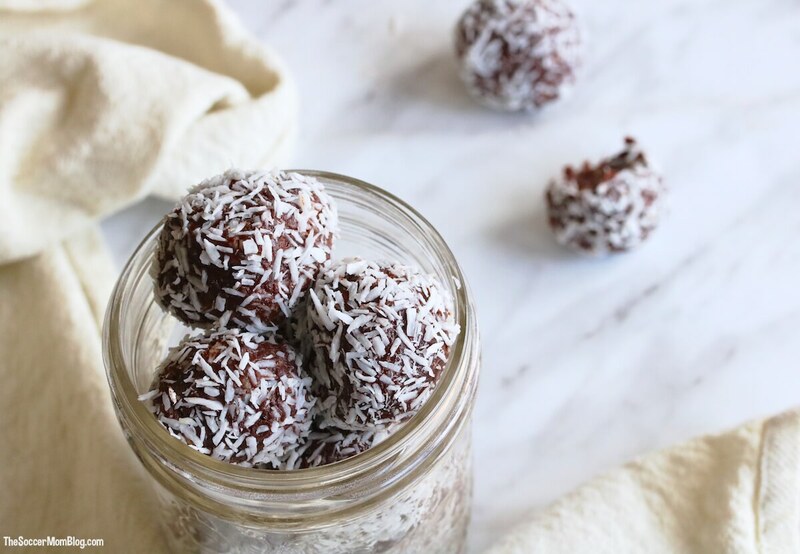 Of course kids love junk food, but what if you could make an easy and healthy school lunch that kids would love just as much? Well that my friends is what we call a #momwin! 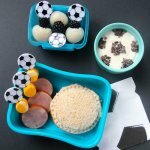 My friend Jennifer always comes up with the best cute lunch box ideas, so I asked if she could create a soccer themed kids lunch for “the Soccer Mom.” And she did not disappoint! I love this soccer lunch not only because it is fun to look at, but the items are nutritious and provide lasting energy for the school day. 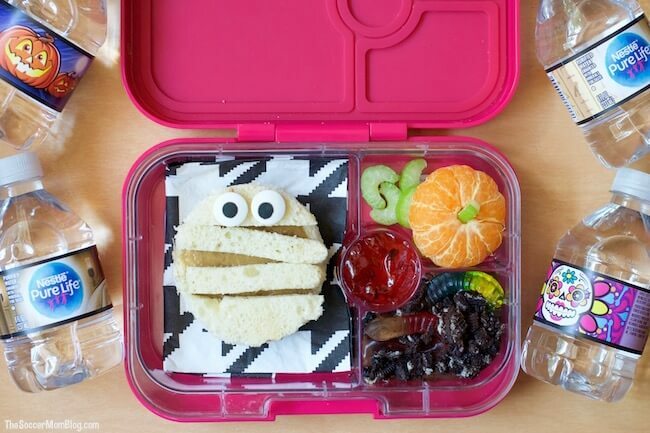 Even if your child doesn’t struggle with focusing or finishing their meals, these cute lunches are still a fun treat in the middle of the day and a way to celebrate special occasions or accomplishments. To make this soccer lunch, you really don’t need any fancy equipment. 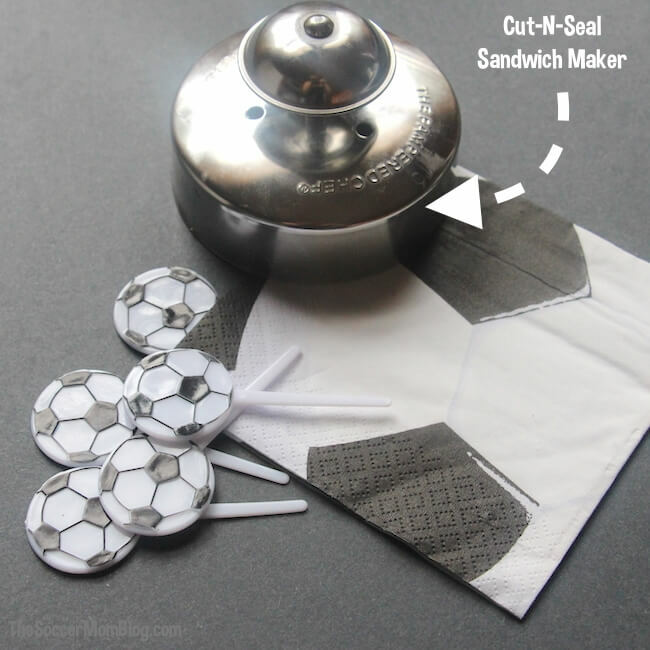 Soccer toothpicks are fun and an “Uncrustables maker” helps make the round sealed sandwich, but you can get by without them. Affiliate links are provided for your convenience in re-creating this lunchbox idea; disclosure policy available here. To make your Uncrustables-style round sandwich, build your sandwich as usual and then cut and seal with the Cut-N-Seal sandwich maker. Tip: If I’m making a sandwich with something sticky like honey or jam, I make an imprint of the circle onto the bread first and try to keep the sticky substance within the perimeters so it doesn’t get on the outside of the sandwich. Next, assemble your meat and cheese skewers. 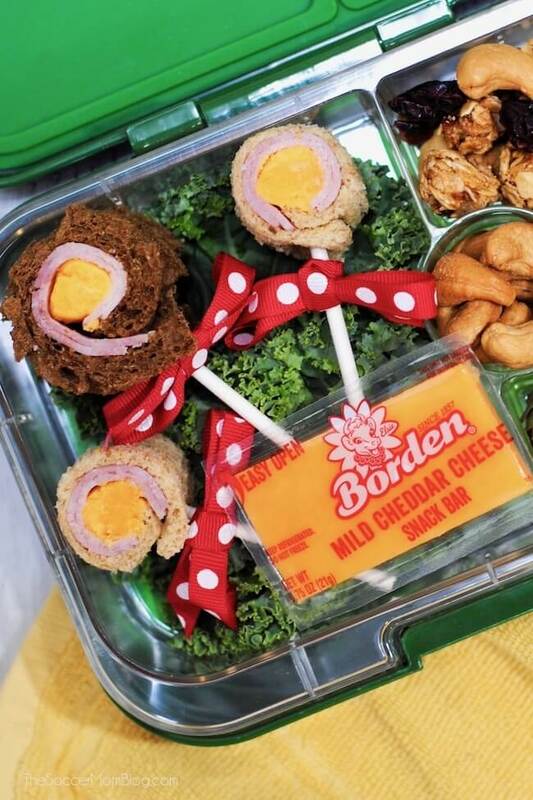 Cut the cheese into small circles using the cookie cutter (save the leftover cheese for a cheesy morning omelet) and stick the soccer toothpicks through cheese circles and slices of the sausage. Our yogurt is Greek yogurt (because it’s high in protein), and I used cocoa nibs to sprinkle on top of the yogurt in a soccer ball pattern. Tip: To keep yogurt from getting messy during transportation to school, use a container whose lid sits right ontop of the food, holding it in place. Our fruit skewers are canned lychee packed in water (drain the water first) and blackberries to carry through the black and white theme of the lunch. 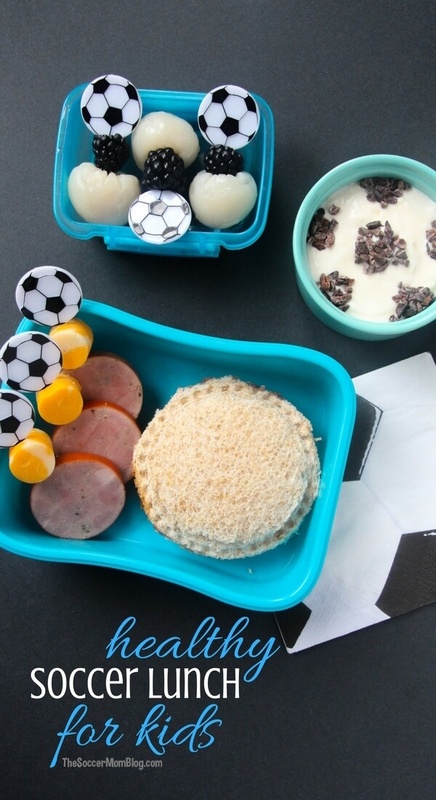 Grab a free printable copy of our Soccer Bento Lunch recipe at the bottom of the post! 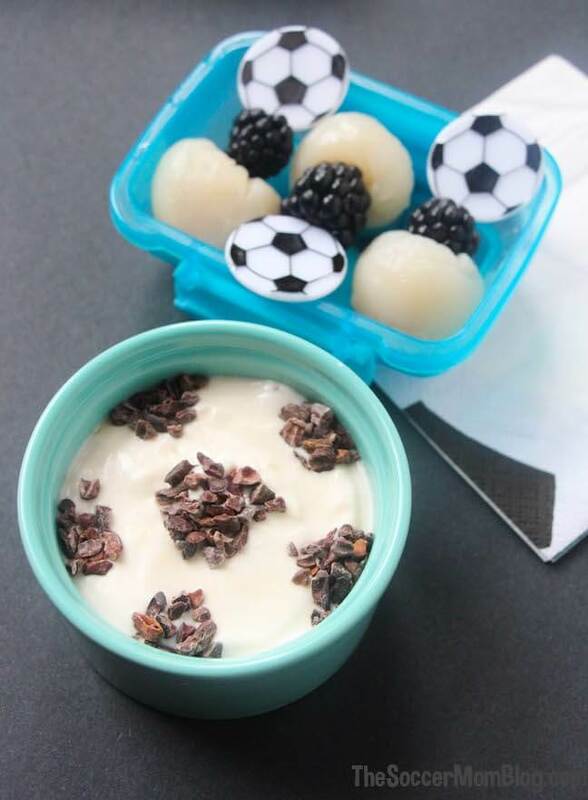 If your kids are a fan or play soccer, surprise them with this Healthy Soccer Themed Bento Lunch! Next, assemble your meat and cheese skewers. Cut the cheese into small circles using the cookie cutter (the leftover cheese is perfect for putting in a cheesy morning omelet) and stick the soccer picks through it and slices of the sausage. For the yogurt, I made a cute soccer ball pattern by sprinkling cocoa nibs onto plain greek yogurt. You can alternatively use a bit of food dye or chocolate sprinkles. For the fruit skewers, I used canned lychee packed in water and skewered it with blackberries to carry through the black and white theme of the lunch. « The Edible Pudding Slime Recipe That Smells AMAZING!